Hoang was born in 1964. He first drew with chalk on his mother’s concrete floor, at her home in Saigon, when he was about 2 years old. He developed a passion for wildlife early in his life, whilst accompanying his mother to the Saigon zoo. Afterwards, Hoang would return home and make picture books with photos of animals cut out from magazines. In 1979, four years after the war ended, he left Vietnam by boat, as a refugee. After arriving in France in 1980, Hoang was able to study computing, and ultimately gained employment in Paris for the next 16 years, before returning to Vietnam in 1996. 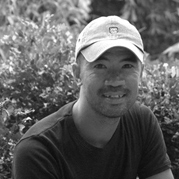 Soon after his return, Hoang joined an advertising agency, as an Art Director, and eventually rose to become Creative Director for several agencies for more than 15 years. In 2013, Hoang decided to quit advertising, and to devote himself entirely to full time, wildlife painting. Since then, Hoang has completed numerous illustrations, commissioned murals and concept designs, for interpretation centres, national parks and public spaces, all over Vietnam. He also contributes to educating children about nature and the environment in Vietnam with his art and illustrations. Hoang has a preference for tropical regions, Africa, Central and South America. And after having visited more than 25 countries in his life, Hoang continues to travel throughout the world to draw wildlife, nature. His work consists of acrylic paintings on canvas, with a detailed and realistic rendering, portraying animals with typical poses and behavior in their natural habitats.